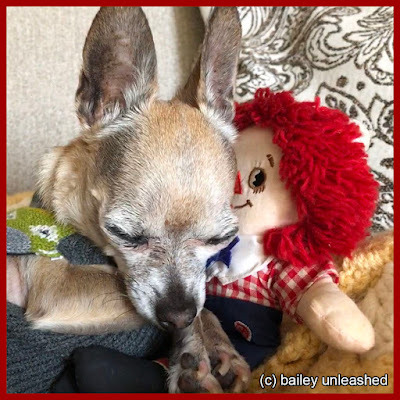 bailey has fallen in love with raggedy andy and has adopted him as her new sleeping buddy. 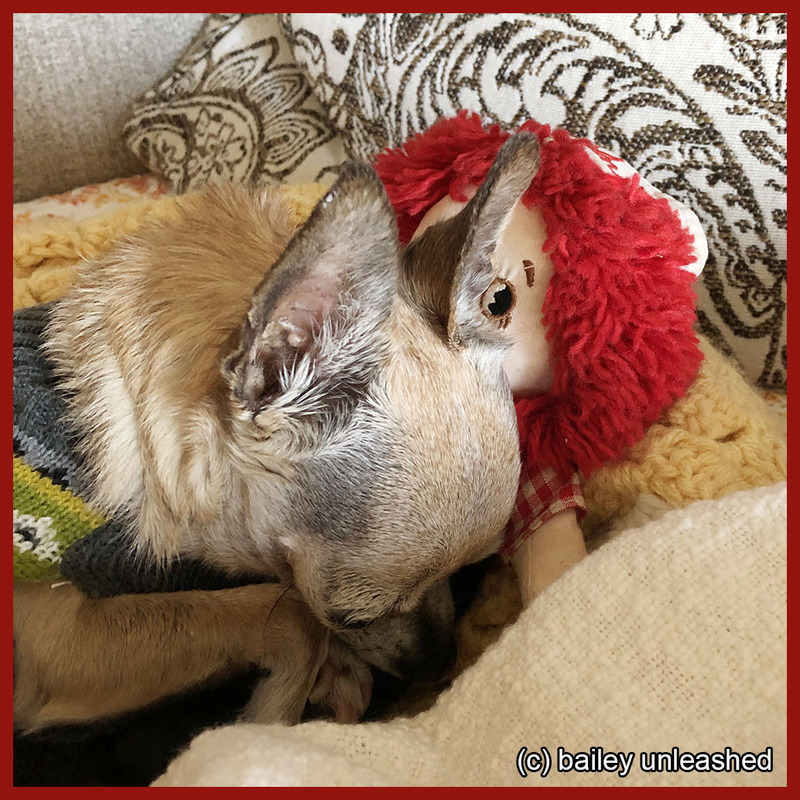 Ahhh, I love it...you picked a perfect toy to sleep with Bailey. It's so nice to cuddle with something. Bailey, you are such a sweetheart. Raggedy Andy looks like the best sleeping partner to have. 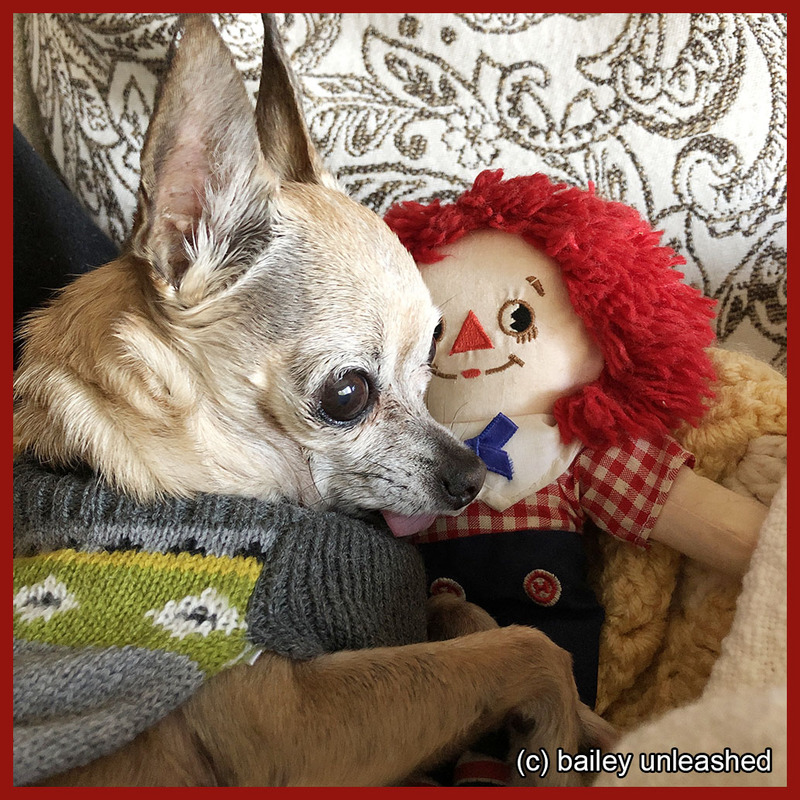 We just love these adorable photos of you. Thanks for the share. Have a wonderful nap with your new friend. OMD, gurl! That is just too cute!!!! He does make a FABulous pillow!! !